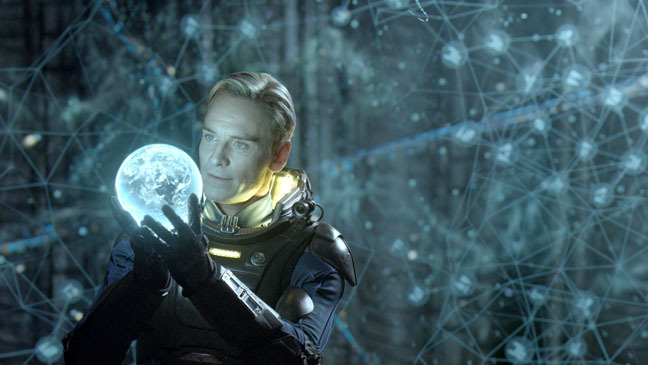 Rather than reinvent the wheel or this case a review, our movie editor Damien Straker perfectly critiqued Ridley Scott’s latest sci-fi epic Prometheus, a visually stunning film that unfortunately lacked characterisation and a substantial plot. Although I enjoyed the film more than Damien, I would like to expand on the visuals of the film, especially in relation to IMAX. Prometheus was not filmed in IMAX, rather it was shot in Real 3D and when combined with the world’s third largest screen, the vision of Scott takes on this surreal and almost siren-like appeal. These visuals assist in drawing you into this movie and even with its flaws; you can’t help but appreciate the scope of it, especially when you see the barren landscape of planet LV-223 where this film takes place, the last known place of the Engineers, an alien civilization who visited Earth several thousand years ago. Unfortunately the spectacle of Prometheus is let down by the script as Damien is now about to elaborate on. 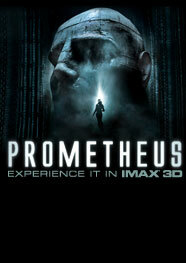 Prometheus is a prequel to Ridley Scott's Alien (1979), opening with a creature disintegrating itself into the Earth. Forwarding to the year 2089 and archaeologists Elizabeth Shaw (Noomi Rapace) and Charlie (Logan Marshall-Green) discover that a map has been left by the alien as a signal to another planet. A few years later and both archaeologists are onboard the spaceship Prometheus. The ship is sponsored by the rarely seen Weyland (Guy Pearce) but is captained by Janek (Idris Elba) and manned by the tough talking Meredith (Charlize Theron). There is also an android on the ship named David (Michael Fassbender), who is occasionally taunted for not being human. Interest arises when the group lands on a moon and discovers that there is a direct correlation between human and alien DNA. Problematically however, some of the crew become separated from Shaw and the rest of the group, forcing the others to retreat from the safety of the ship to find them. 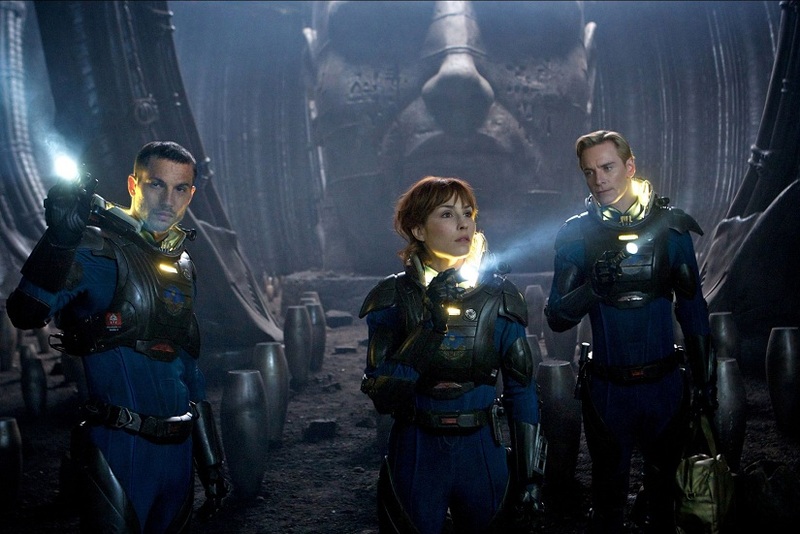 Prometheus is bigger, louder and flashier than Alien ever was, but not as effective. Where director Ridley Scott once relied on pure minimalism, including the use of silence, deep shadows and selective glimpses of the alien creatures, he deters instantly from the 'less is more' approach from the very opening of this disappointing prequel. The immediate vision of an alien badly in need of a suntan, with a UFO hovering above him, is the result of the impatience of both contemporary films and modern audiences. After all, Prometheus was delayed to make way for the likes of Alien vs. Predator (2004). Interestingly, that Razzie Award-nominated feature became the highest grossing film between both franchises worldwide. What has followed is a lack of restraint in Scott's film, particularly in the visual design, which compromises his unique stylistic imprint. The clear, white, sterile tones of the ship's interiors, along with the tight fitting grey uniform of Meredith, hint at a fascist regime. But the emphasis on digital technology upsets the mood and the isolation. The ship is comprised of see-through computer screens and sophisticated touchpads, while in the caves the crew can use flashing red scanners to search through darkened areas. If this is a prequel to the retro, low-tech Alien, how is it that they have access to such advanced gadgetry? The illogical choices in design also flow through to the narrative, which is unresolved and emotionally hollow. Potentially fascinating ideas surrounding destruction as a form of creation and facing our creators are squandered by deliberate obtuseness. Rather cynically, the film's main questions, specifically the relationship between humans and aliens, seem purposely unanswered if only so audiences will have to tune in for the next episode. Furthermore, the characters in this film are noisier and more talkative than in Alien but still have little to say. The film is painfully short on characterisation and the cast is underused. Rapace is perhaps the strongest because she's intense and visceral but she is not much of a conversationalist. Idris Elba, Guy Pearce and a barely seen Patrick Wilson, are all fine actors but they aren't well-served by the script because they're largely excluded from the action and substantial details about their characters are scarce. The plot struggles around the midpoint because the motives and the goals of many of these characters feel sketchy. Similarly, there are few actresses better at playing ice-cold than Charlize Theron but she's unusually heavy-handed and the part feels underwritten because it limits her range of emotions. The most elusive member is Fassbender's David, who seems to recognise when he is being taunted, which adds some much-needed tension, but his bizarre actions make it difficult to tell whose side he is on. These characters are also drawn into dumb plot points, courtesy of even dumber actions by the expendable side characters. There are moments where you'd like to scream 'don't split up' and 'don't touch that alien' but these events unfold with predictable outcomes, thanks to an intrusive music score that cues us in on when to be frightened. The thrills are meant to be amplified but everything is performed with little self-awareness for the genre. There's a laughable scene where a character undergoes the world's fastest caesarean and after the alien came out all I wanted to hear was Agent K (Men in Black) say: "It's a...squid." The aliens, including but not limited to an enormous tentacle beast, might be more visible and more violent but that doesn't mean the film is more exciting or enjoyable because of it. After the screening, I wondered why Scott had taken so long to make the film. On top of a proposed Monopoly movie, based on the board game, and the recently announced sequel to Blade Runner (1982), I questioned whether Scott was officially short on new ideas. Watching Prometheus, the answer seems simple. In terms of design and direction, it is a product of our times and not in a complimentary way. 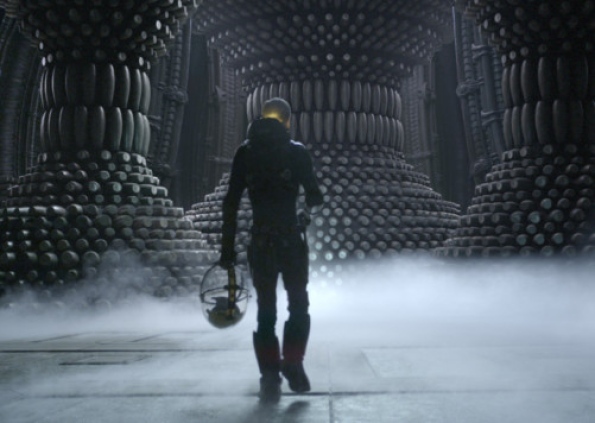 Mainstream movie goers will probably enjoy Prometheus for its sci-fi value; given you can ignore the clichés, sometimes poorly written dialogue and at times ridiculous subplots. Ultimately, it will be another forgettable Hollywood Blockbuster which unfortunately won’t be remembered as Ridley Scott’s best work. If you can’t see if in IMAX 3D, watch it in 2D as the Real 3D experience pales in comparison to IMAX.